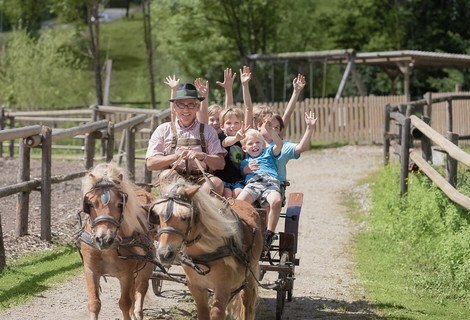 The Waldhof Stables are home to the Feistrizer horses Nero und Paplo, the Haflinger horses Alando and Avalon as well as our children's favourites Max and Moritz our Shetland ponies. 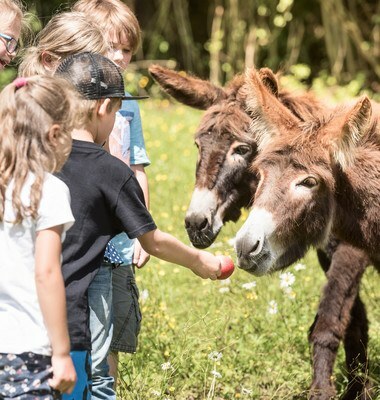 Kids staying at the Waldhof love to visit the Stables where they can stroke the animals and ride the ponies. 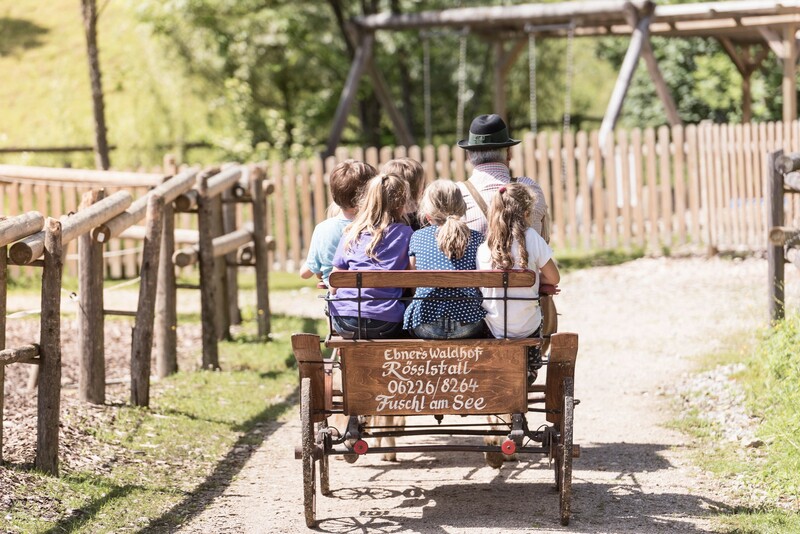 Kids love to ride, but perhaps even more fun is a coach ride with your friends. 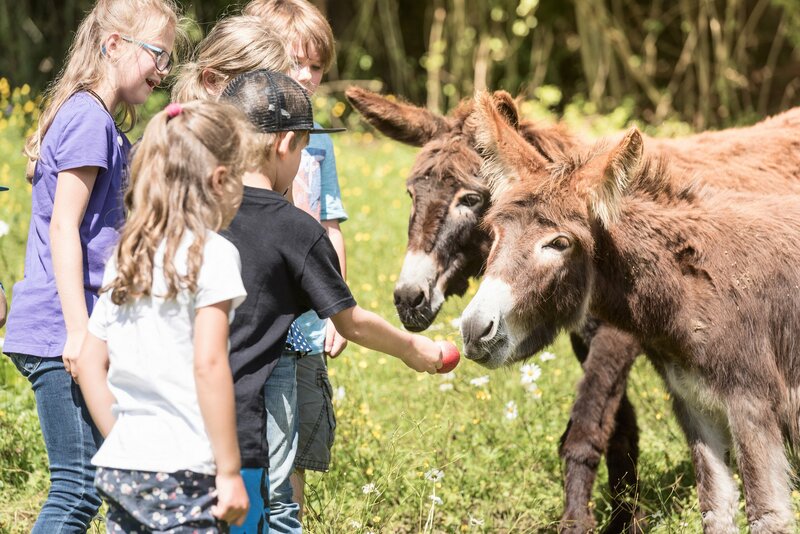 It's a great way for your kids to get closer to nature, where they can experience the great outdoors with all their senses and have fun while they're doing it. 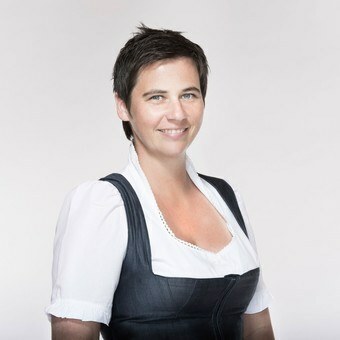 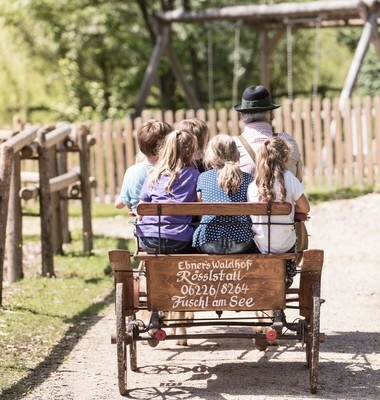 The Ebner Family will show you the most beautiful spots in the region. 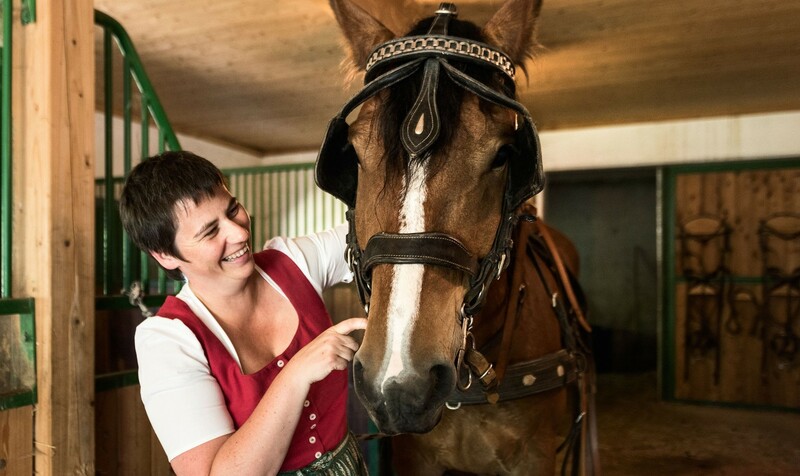 For an hour our guests can sit back, relax and enjoy a completely different kind of excursion. 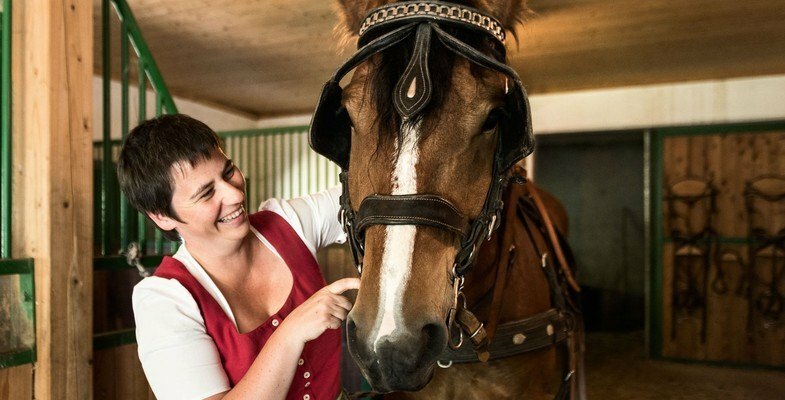 Starting at Ebner's Waldhof the tour will take you on small paths through lush green meadows, along the banks of clear streams, out into the Ellmau Valley and round to the historic Ruming Mill. 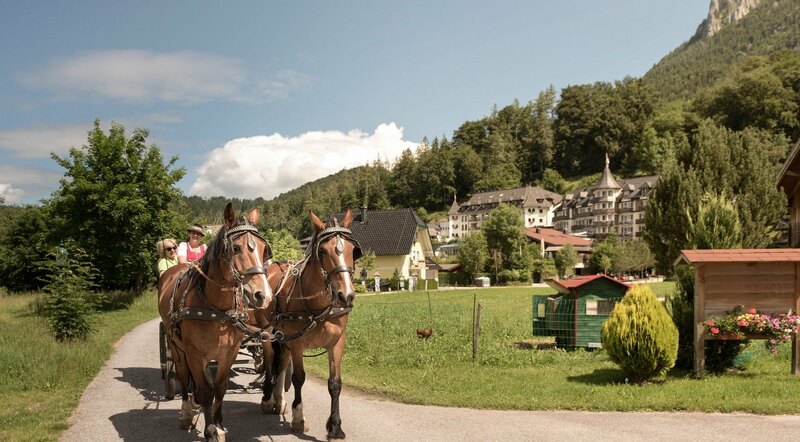 And the best thing about a holiday at Ebner's Waldhof by the lake is that you can go on a carriage ride again, whenever you feel like it.